Night Film, starts with a mysterious death of 24 year old Ashley Cordova. Ashley is the intelligent but troubled daughter of cult horror filmmaker Stanislas Cordova. Ashley starred in her father's last film at the age of eight and performed as a concert pianist at the age of 12. Now dead at 24, her body found at the bottom of an elevator shaft, in an old warehouse in Manhattan. It is ruled a suicide but some have their doubts. One of these skeptics is disgraced journalist Scott McGrath, who was involved with Stanislas Cordova before, and the outcome was not pretty for him; it cost him his job. McGrath thinks if he can get to the bottom of Ashley's death, it 'll be an opportunity to get some satisfaction. As McGrath and his team dig deep into Cordova's past, the reader is taken on a dark and sometimes shocking ride. Just who is Stanislas Cordova, and why has he been in hiding for over 20 years? Why do his cult fans, who call themselves Cordovites, meet in abandoned buildings? As the reader, these are just a few of the things that I hoped I'd find out after tackling this 600+ page book. Night Film was a very different read for me.The writing was very good and I loved all of the twists, turns and clues along the way. At times I wasn't sure where the story was going, but I never felt frustrated either. I enjoyed the audio version, read by Jake Weber. At times, I found myself sitting in a parking lot listening just a bit longer after reaching my destination --- that is unusual for me. However, in my opinion, you will be missing out if you just listen to this one. It is important to have the print edition to see what the author included to add interest to the narrative. She provided things like excerpts from magazine articles, newspaper headlines, police reports, crime scene photos, screen shots and even online message board posts. Overall, I enjoyed this book and think it did a good job living up to the hype. The characters were well developed, It was fun looking for clues, and I was satisfied with the ending. I am still happy thinking about the I spent time with this book. 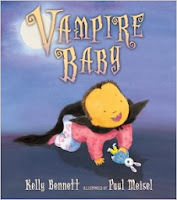 Vampire Baby is a cute book for Halloween, but it will probably be even more appealing to parents because it deals with sibling rivalry. 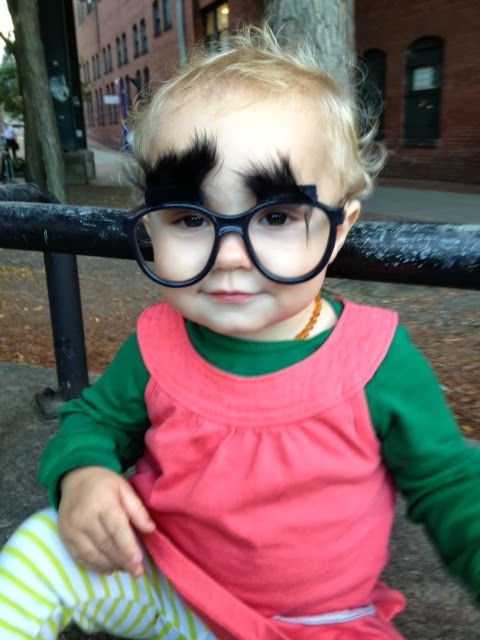 In this story, Big Brother tries to convince mom and dad that little sister, Tootie, is no ordinary baby. Almost overnight she has grown some teeth new teeth that look like FANGS. She also seems quite happy biting what ever crosses her path. Sometimes it is furniture, her brother's baseball mitt, sometimes it is even brother! Mom does not seem any too concerned about this, even though big brother continues to make his case. He notices that sister's forehead and hairline seem to look a bit like a vampires, and she even has trouble sleeping at night -- the time when vampires are awake. Why won't anyone listen to big brother? 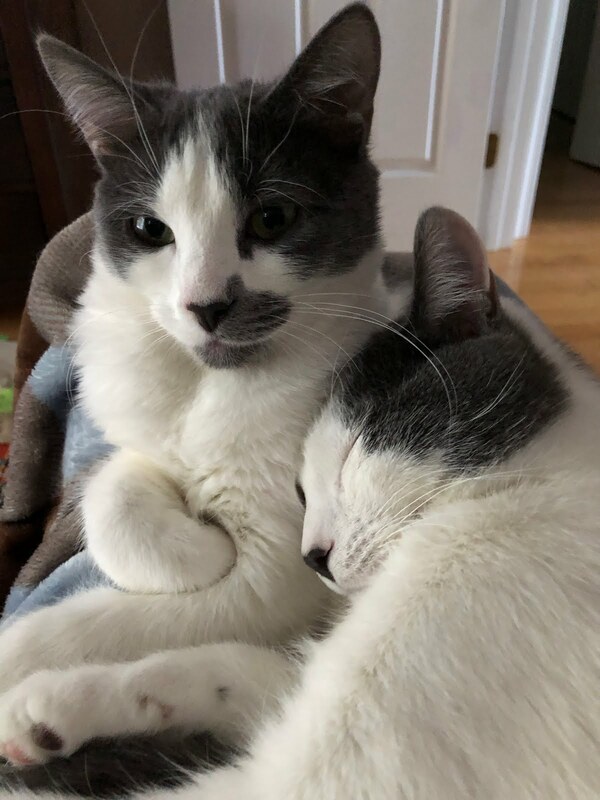 He even thinks she might do better with a new family, but of course that never happens. The story is cute and the illustrations are a treat. The colorful watercolor and pen and ink style, used by illustrator Paul Meisel is appealing. I think the story deals with an important subject in a fun way This would be a fun story to read to children when a new baby joins the family, or just a fun book to teach young ones that "biting" hurts and is unacceptable. I think this would be a good book for libraries to add to their collection as well. "Ruth woke at four in the morning and her blurry brain said 'Tiger.' That was natural; she was dreaming. But there were noises in the house, and as she woke she heard them. They came across the hallway from the lounge room. Something large was rubbing against Ruth's couch and television and, she suspected. the wheat-coloured recliner disguised as a wingback chair. 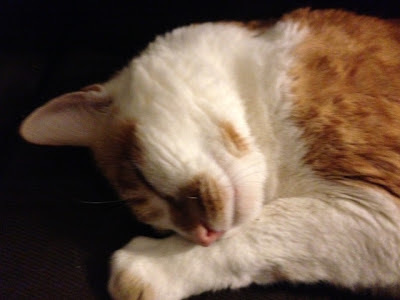 Other sounds followed: the panting and breathing of a large animal; a vibrancy of breath that suggested enormity and intent; definite vibrancy of breath that suggested enormity and intent; definite mammalian noises, definitely feline, as if her cats had grown in size and were sniffing for food with enormous noses. But the sleeping cats were weighing down the sheets at the end of Ruth's bed, and this was something else." The Last First Day has so many of the elements that make a reading experience special for me. First was the setting -- an isolated, private prep school for boys in New England. Unlike most prep schools, this school did not recruit boys from wealthy families, but rather those from poor, unfortunate circumstances. Another thing I loved about this book was that it so introspective. The story was told from the perspective of Ruth, a now elderly woman looking back at her life and life choices. There is not a lot of action or earth shattering secrets that are revealed, but the story is both quiet and powerful all the same. It's a love story, but not one that is corny or sappy and it is just so beautifully written and descriptive. (INTRO)---" That morning, in anticipation of the party to be held at their house in the evening, Ruth unearthed the vacuum cleaner from the front hall closet. She had to move aside a heap of belongings to reach it -- umbrellas and boots and musty-smelling coats--as well as Peter's old film projector, heavy as lead in its mossy green case, and half a dozen cartons containing reels of footage from their early days at Derry. A brand-new teacher then, his enthusiasm like a light inside his face, Peter had recorded everything during those first years, endless hours of slow-moving football games, canoe races on windy spring afternoons with the boat shunting jerkily across the lake, the winter evening Robert Frost came to read his poems in the chapel. Mr. Frost had been aloof that evening at dinner, attending vaguely to the conversational gambits offered by the school trustees who had been assembled for the occasion. The meal had been splendid fare by the dining hall's usual standards, stuffed clams and lobster with melted butter, corn and boiled potatoes, blueberry pie. The occasion had been a triumph for Peter, who had arranged it, and an honor for Derry, which then had no real standing among boys' schools of the day, its pupils drawn historically from poor families rather than the well-heeled aristocracy of New England." It's the first day of the new school year at New England Derry School for Boys in Maine. Peter and Ruth, a well-educated couple now in the 80's have spent their married life here. Peter got his PhD at Yale and Ruth went to Smith. Many thought Peter was capable of something far greater than the Derry school as his life work. For Peter, prestige was never important and rising to Headmaster in just a few years was good enough for him. Over the years Peter gave back much more in time and salary than he received from working there, but he did what he loved, Now at 76 years old he still serves as Headmaster and although the school is changing, and they must now recruit from wealthy families to stay afloat, Peter's outlook and mission is much the same as it was 40 years earlier. For Ruth, despite her intellect and education, she chose to live in the shadow of her husband and support him in any way she could. Ruth was the "good wife". She had a terrible childhood and could best be described as "a loner and a woman uncomfortable in her own skin." The first time she had met Peter, in their early teens, was after a horrible situation occurred and she needed a place to stay. It was Peter's family took her in briefly. She was extremely vulnerable,and although she went to live elsewhere, the two were reunited in college. My heart went out to Ruth over and over again. I loved that she had such a keen grasp on the feelings of others and how found beauty in little things that most people would not even notice. Anyone who has ever questioned their life choices, wondering whether they should have stayed or left a long term relationship should try this book. I think baby boomers will especially appreciate this beautifully written reflection on a marriage -- a real treat. Mailbox Monday was started by Marcia, and this month will be hosted by Gina at Book Dragon’s Lair. 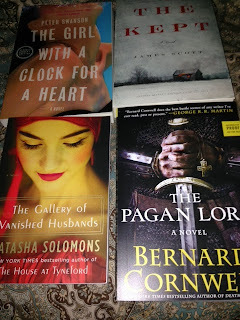 It’s the place to post all bookish finds! These arrived over the last week. 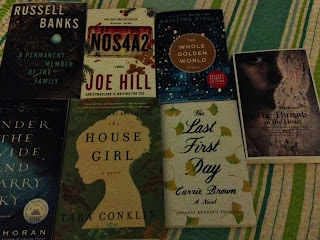 Most of last week's books are ones that I am quite anxious to try. Have you read any of them yet? I also purchased a few fun cookbooks and they do look awesome. 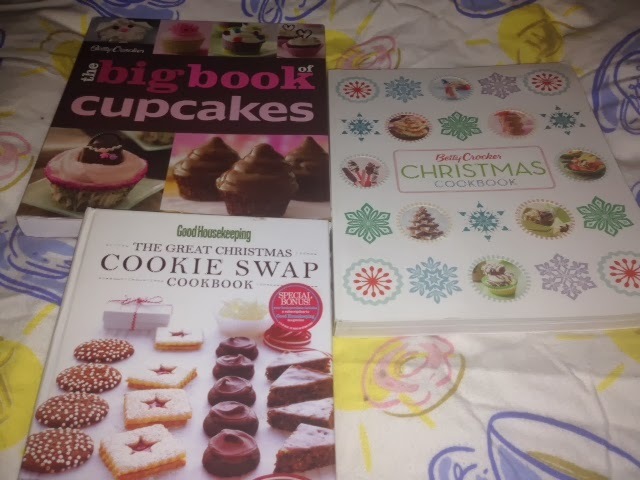 Anxious to try some fun recipes around the holidays. The Story of a New Name is the second book of a proposed trilogy; it follows My Brilliant Friend. The two girls, now women grew up in a poor section of Naples in the 1950s. It was an area where most men worked hard to provide for their families, and there was not much money left over for anything else. Family life was less than ideal for these girls (now women) and violence in the homes was not unusual. Even though Elena and Lila were best friends, they were not always kind to one another -- in fact at times it seemed like the meanness of the adults in their lives rubbed off on them as well. In this novel, set in the 60's and 70's, Elena and Lila's lives have taken very different paths. Lila, "the brilliant friend" of the first novel, has left school behind and at just 16 years old married the local grocery store owner, Stefano Carraci. She was urged to do so by her family. Unfortunately, Stefano's moderate wealth does not necessarily make him the ideal catch. Financially Lila doesn't have to worry, but Stefano is not the loving husband most women dream of. He is abusive and is in the hooks of criminals in the Solara family. Lila is miserable with her marriage and her life. Her friend Elena, on the other hand, sees education as her way out of poverty and an opportunity for a better life. In college she struggles though and finds that her new found freedom makes academic success challenging. Outside of school, when Elena is back home, her reunions with Lila are difficult as well because of Lila's situation. I liked this sequel a lot. Elena and Lila are such memorable protagonists and not always in a good way. This author knows how to write about women and their life struggles. Following the frustrating but fascinating adult relationship was rewarding. There is a part where Lila asks her friend to keep some notebooks for her and Elena takes them, reads them, but then dumps them in the river instead of doing what her friend asks her. I thought the author did a great job of picking up where the first novel left off. At times I felt like the author's writing seemed somewhat autobiographical. It felt almost voyeuristic at times, reading about these two women and their continued life struggles. As was true of the first installment, the translation is of this novel was excellent as well. I can't wait for the final installment to be published. 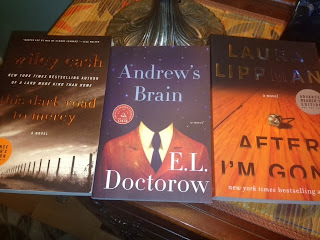 In addition to this trilogy, I've read (3) other books by the author that I enjoyed: Days of Abandonment (2005), Troubling Love (2006) and The Lost Daughter (2007) - each is a much slimmer novel in comparison to the trilogy series, and so well done. I highly recommend this author and series. "Elspeth Howell was a sinner. The thought passed over her like a shadow as she washed he face or caught her reflection in a window or disembarked from a train after months away from home. Whenever she saw a church or or her husband quoted verse or she touched the simple cross around her neck while she fetched her bags, her transgressions lay in the hollow of her chest, hard and heavy as stone. The multitude of her sins--anger, covetousness, thievery--created a tension in her body, and all that could ease the pressure was movement, finding something to occupy her wicked hands and her tempted mind, and so she churned her legs against the snow that piled in drifts to her waist." Recently abandoned by his father, who moved out of the family home in Manhattan, Theo Decker, 13, and his beautiful mother are making it on their own in New York. After Theo gets in a little trouble at school, he and his mother have an appointment at school to discuss his issues. With some time to spare before the appointment, the two stop off at the MET for a Dutch art exhibit. Theo is not at an age where he appreciates fine art, but he does notice a pretty red-headed girl about his age and an elderly man who catches his attention. He is curious about the girl and the mysterious older man she is with. So when his mom suggests they visit the gift shop, Theo declines to stay close to the young girl, and in an instant, his life is forever changed. After an explosion and the rubble which resulted,Theo is unable to get to the gift shop or locate his mother. He does find the now dying older man (Welty) who gives Theo a ring and tells him to take it to a place called, Hobart and Blackwell and to "ring the green bell", when he arrives. Welty also tells him to take the small painting which had fallen to the ground after the explosion. The artwork is a priceless 17th century, one of a kind painting which depicts a little yellow pet finch that is chained at the ankle, "The Goldfinch.". Dazed in the aftermath, Theo now sees his life defined as "Before Mom and After Mom". He is haunted by what has happened; he blames himself for his mother's death. Child protective services intervenes and Theo's journey to adulthood takes a most unconventional course. From living with a wealthy school friend on Park Avenue, to being dragged off to Las Vegas by his loser, gambler father and his girlfriend Xandra, Theo's life is in chaos. The only comfort for him is, The Goldfinch painting, which he clings to like a security blanket. Theo has kept the painting hidden since the tragedy, for it reminds him of his mother. But, what can a young man do with a priceless piece of art like The Goldfinch? For a number of years, he keeps it safe, and gazes at it occasionally in private, until years later when, a seedy friend from Theo's teen years in Las Vegas resurfaces in New York and has a plan. In The Goldfinch, the reader is transported on a spellbinding journey into the lives of The Barbours, the wealthy, Park Avenue family that took young Theo in. Hobie, the antique dealer and former business partner of the elderly man who died in the explosion, who gives Theo a place to live and work when he returns to NYC. There is also unpredictable Boris, who Theo befriends in Las Vegas after Theo's loser dad and girlfriend take him from NYC to live with them. Both boys are left to fend for themselves, and except for the occasional left overs that Xandra brings home, their consumption seems to consist primarily of food they can steal or alcohol and drugs. Told from the first person looking back, The Goldfinch followsTheo from the ages of 13 to 27. From New York to Las Vegas, back to New York and even on an international journey to Amsterdam. The author creates a memorable cast of characters and imagery. The characters are so well drawn, the writing is fabulous and both colorful and suspenseful. For me, it novel was, at times, an emotional journey. My heart went out to Theo, even when he made some poor choices along the way. I loved the way the novel drew me into the world of art, and although it can't be considered a happy story, it is a story that, for me, had a very satisfying conclusion. So far it is probably one of the very best books I've read in 2013, even though it was well over 700 pages -- I never felt bored. Be sure to read this one. Hi Everyone....I've been a bit preoccupied this week? Can you guess why? Yup, Boston versus Detroit playoffs and as of this typing.....Boston is up 3 wins to Detroit's 2 wins. A win for Boston tonight means that they'll be in the World Series against St. Louis. 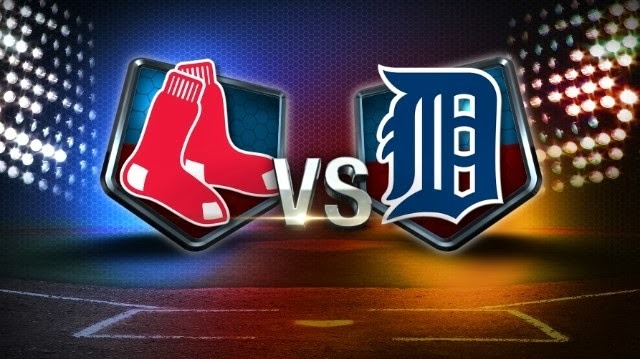 But, if Detroit wins, we need to play another 8pm ET tomorrow.......fingers crossed Boston clinches our spot tonight. We are having a playoff party tonight - for us fans as exciting as the Super Bowl for some. GO BOSTON! Past Week: Short work week last week, off Monday and Tuesday, and a workshop Thursday made for a easy breezy week. 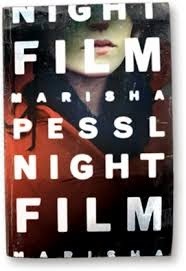 I finished The Goldfinch; Donna Tartt (loved it-no review yet), and have started the audiobook: Night Film, Marisha Pessl. I am really hooked. I also have the hard cover from the library as there are some fascinating illustrations that go along with the story - so this is a read and listen experience. 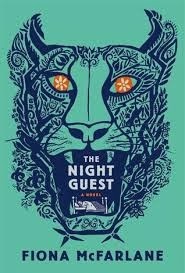 I finished the RIP VIII Challenge this week by completing my 4th book, Bellman & Black, but I'll actually end up finishing a 5th book, Night Film, by the 31st of October...I hope. I also need to review the latest Europa Book by Elana Ferrante, The Story of a New Name - book 2 of a trilogy. Oh, and if you recall my iPod saga of last week, I am happy to say I found IT!!!! It was tucked safely away in the bottom drawer of my night stand, having forgotten I put it there....whew.....I started listening to The Age of Miracles; Karen Thompson Walker, it's really good so far (great narrator) - have you read this one? In Bellman & Black, a foolish incident, a dare from his peers, when he was just 10 years old comes back to haunt William Bellman as an adult. Young William killed a bird (a rook) with a stone and a slingshot like device. He knew it was wrong and he felt sick afterward, but it was. too late to change the outcome. The deed was done and the bird was dead, but as we know, all actions have consequences. The years passed, William grew up and became successful. Ladies found him attractive, he was blessed with good health, a wife and family he loved, and his business savvy has led him to a thriving career at his uncle's business, Bellman Mills, which he eventually takes over. He seems to have everything going for him until things start to happen and his good fortune seems to change. Could that unknown, haunting man in "black" who seems to appear at every funeral have something to do with William's downward spiral? William stands to lose everything precious to him, even his beloved daughter Dora. 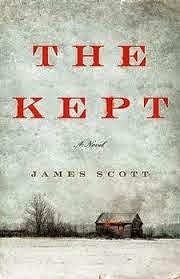 I began this novel knowing that many readers expected this to be a "ghost story" and felt disappointed. I found the book slow moving at times, but the author does a terrific job of drawing the reader into William's torment and misery. The writing was atmospheric, and left me anxious to find out what would happen next. I did think that there was a bit too much info about the Industrial Revolution and the family business. 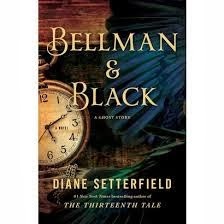 Despite that, like Setterfield's debut novel, The Thirteenth Tale, I enjoyed Bellman & Black -- a story that reminded me how one foolish act has the potential of ruining our lives. Fin & Lady was a different kind of story and such a treat for me. The story begins with the funeral of Fin Hadley's mother in the 1960s, when he was just 8 years old. Fin's father had already passed away, and his "half-sister" Lady, who he had met just once before has been appointed his legal guardian. When Fin learned he had a "half-sister" he was about 5 year-old, and he thought that the phrase, "half-sister" sounded a bit frightening or at least confusing. He tried to visualize what a "half-sister" might look like as he and his parents left home for Capri to find Lady and to bring her home. Lady Hadley, had always been a bit of a rebel. At 24, she is now independently wealthy. She's a free spirit who loves men (has 3-suitors and is still looking), and she enjoys her glamorous lifestyle. At first glance, Lady seems like an ill-suited guardian for a young boy like Fin, but their relationship is special. Fin adores Lady even though he is puzzled by much of what he witnesses. Lady introduces Fin to culture, an appreciation for books, and enrolls him in a private school in the Village, a school with non traditional teaching methods. Together they enjoy Broadway musicals and other adventures that only a city like New York could offer Fin. Lady often treats Fin as an adult far too often, like when she suggests he help her select a suitable husband to marry before she turns 25. Having been about Fin's age at the time this story took place, made it this novel all the more enjoyable for me. I loved flashing back to the life changing events of that era: the Vietnam War, the civil rights movement, hippie movement, and the positive changes that were beginning to happen for women. The audiobook reader, Anne Twomey, did an excellent job making for a wonderful listening experience. Fin & Lady is not a story with a lot of action, but it is a story that surprised me. Initially, it appeared that the story was being told by Fin looking back, but boy was I in for a surprise. 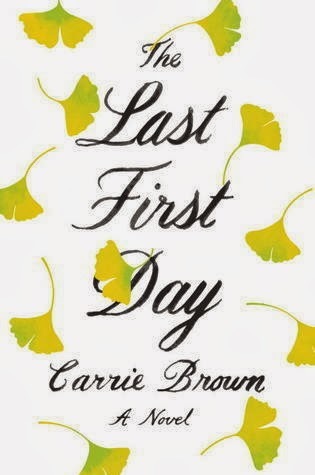 The author did a great job creating a believable, touching story that was infused with much humor and tenderness. I loved Fin, and the author made sure his every interaction with Lady was memorable for the reader. A “haunting, sometimes harrowing” novel that examines the difficult decision a mother must make on behalf of her autistic child. Therese Wolley is a mother who has made a promise. She works as a secretary, shops for groceries on Saturdays, and takes care of her two girls. She doesn’t dwell on the fact that her girls are fatherless, mostly because her own father abandoned her before she was born and she has done just fine without him. Even though her older daughter regularly wakes with nightmares and her younger one whispers letters under her breath, she doesn’t shift from her resolve that everything will be fine. She promises . . . and they believe. 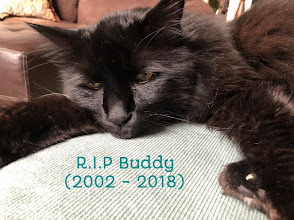 Until the morning an obituary in the newspaper changes everything. Therese immediately knows what she has to do. She cannot delay what she has planned, and she cannot find the words to explain her heartbreaking decision to her daughters. She considers her responsibilities, her girls, and her promise. Then she does the only thing that any real mother would do. She goes on the run with one daughter . . . and abandons the other. Left is told from the perspectives of Franny, the autistic sister who is left behind; Matilda, the troubled older sister who vows to go back and save her; and Therese, a mother on the run. "When I was seven, I knew exactly who I was: a thoroughly American girl in race, manners, and speech, whose mother, Lulu Minturn, was the only white woman who owned, a first-class courtesan house in Shanghai. My mother named me Violet after a tiny flower she loved as a girl growing up in San Francisco, a city I have seen only in postcards. I grew to hate my name The courtesans pronounced it like the Shanghainese word vyau-la ---what you said when you wanted to get rid of something. Vyau-la! Vyau-la! greeted me everywhere." 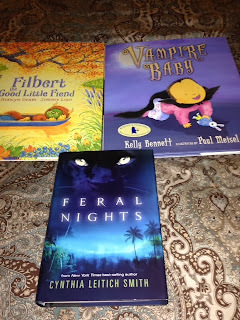 I was squealing with joy over my new books this week - audiobooks which were sent to me by Hachette and Simon & Schuster --thanks so very much. How about you? Any new books last week? Columbus Day weekend here and I'm extending our Monday holiday from work by one day which means no work until Wednesday. I spent yesterday doing stuff that needed to be done, but nothing exciting: getting an oil change, grocery shopping, cooking/baking, and looking for my iPOD.....ugh. I recall sticking it in a tote bag on handbag, but which one?? It was about (2) weeks ago when I last saw it so I know the battery is dead, but on a positive note, I'm 95% sure I haven't lost it, just misplaced it.....so frustrating though. 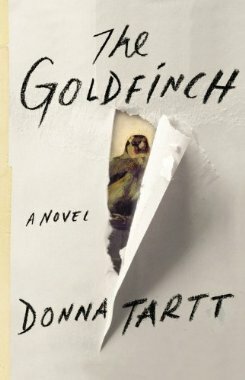 I'm still reading, The Goldfinch; Donna Tartt, it's so long, but good as well - love the writing. (at the 85% point on my Kindle). I have a few reviews to write: Bellman & Black; Diane Setterfield, good, but I wish I had read this one before 13th Tale, as it left me a tad disappointed. 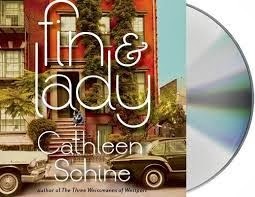 I also just finished Fin & Lady; Catherine Schine (audio version) which I enjoyed a lot. 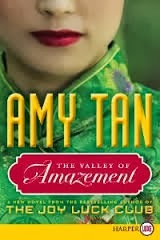 My next (2) reads are hefty tomes: Wally Lamb's new book: We Are Water and Amy Tan's new book, Valley of Amazement - both sound wonderful. Today my SIL and I are heading to the outlet malls for some retail therapy while Mr. Bibliophile enjoys football. There will be a pot roast in crock pot, and the pumpkin bread I just made have made the house smell awesome. Columbus Day will be a movie - either Gravity in 3-D or Captain Phillips --Have you seen these movies yet? Tuesday is perhaps a drive, some remnants of whats left of the foliage, and then I'll be meeting my son for dinner ---we're making this monthly mom and son time - I love it. 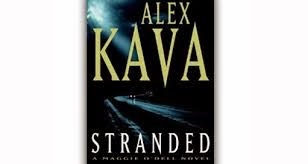 Stranded, is Alex Kava's 11th novel, and while I read the first few novels she wrote years back, for some reason, I stopped.....big mistake, she writes a terrific thriller. If you are not familiar with this author, her novels feature, Special FBI Agent Maggie O’Dell. She is quite a character. She is cool under pressure in her work life, but not so cool and confident in her personal relationships with men. You can feel her awkwardness as you read or listen to her novels. 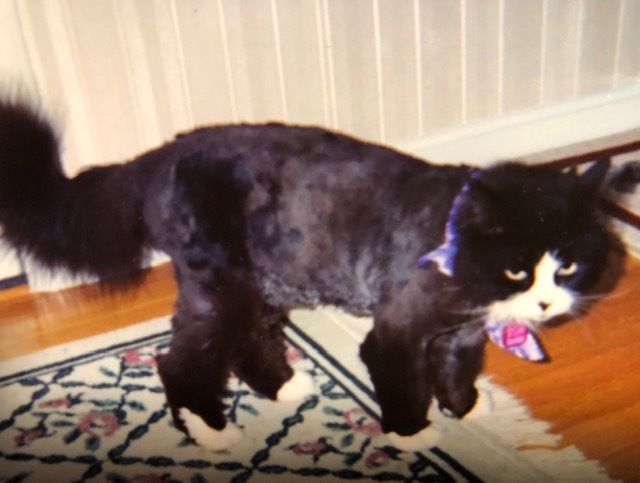 In this particular installment, Maggie and her partner Tully, are members of a task force that try to match missing persons with killings that have taken place along interstate highway rest stops. The novel starts off with a hair raising scene when Noah, a Kansas college student, shows up at a rest stop covered in blood -- his friend Ethan's blood and Ethan is missing. He sure looks guilty, but could he possibly be a serial killer? This particular serial killer is cagey and he seems to know a thing or two about Maggie as well. He appears to find his victims at rest stops and gets a thrill by taunting Maggie, leaving her clues to other killings which have occurred. Maggie and Tully are trying to find a pattern and are led to an area in rural Iowa that proves to be a likely dumping place for the serial killers victims. Great pace, descriptive and gory writing at times, this one held my attention. There were not a lot of names to remember so this one worked well as an audio book and the reader was very good as well. This one is a continuation of Kava's last novel, Fireproof, but even though I hadn't read that one, I was still able to enjoy Stranded.Try it! One final thought ....I will never ever use a rest stop at night. 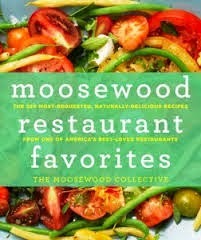 I adore cookbooks and and have also been a longtime Moosewood fan, from it's very beginnings in Ithaca, New York. So naturally I was anxious to take a look at their 40th anniversary book, Moosewood Restaurant Favorites, which was released last month. WOW! There are a great assortment of recipes (250) including some of the original recipes from 40 years ago that have been modified a bit. The recipes just seem so healthy, and although I am not a vegetarian, I don't eat much meat either, so I was especially impressed with some fish, soups (Hungarian Mushroom soup, corn chowder and butternut squash soup for starters), salad (Thai noodle salad) and side dishes (vegan cornbread, broccoli with walnuts) and even some desserts: Savannah banana and different varieties of Baklava, which I am anxious to try. The layout is great and the recipes seem easy to follow. I liked that there were a good amount of Mexican and Spanish dishes to try as well as some Indian cuisine. Moosewood fans, or individuals just looking for something a bit healthier in a cookbook, should take a peek at this one. I loved it. Waiting on Wednesday is a weekly event hosted by Jill @ Breaking the Spine. Bloggers spotlight upcoming releases that they are eagerly anticipating! Want to participate? Post your own WOW entry on your blog, and leave your link at Breaking the Spine.This weeks pick is something from an author I've enjoyed in the past. 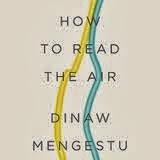 From Dinaw Mengestu, a recipient of the National Book Foundation's 5 under 35 Award, the New Yorker's 20 under 40 Award, and a 2012 MacArthur Foundation genius grant, comes a novel about exile, about the loneliness and fragmentation of lives that straddle countries and histories. All Our Names is the story of a young man who comes of age during an African revolution, drawn from the hushed halls of his university into the intensifying clamor of the streets outside. But as the line between idealism and violence becomes increasingly blurred, and the path of revolution leads to almost certain destruction, he leaves behind his country and friends for America. There, pretending to be an exchange student, he falls in love with a social worker and settles into the routines of small-town life. Yet this idyll is inescapably darkened by the secrets of his past: the acts he committed and the work he left unfinished. Most of all, he is haunted by the charismatic leader who first guided him to revolution and then sacrificed everything to ensure his freedom. 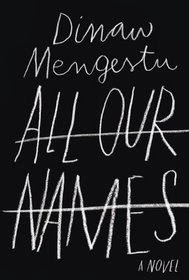 Subtle, intelligent, and quietly devastating, All Our Names is a novel about identity, about the names we are given and the names we earn. The emotional power of Mengestu's work is indelible.
" That morning, in anticipation of the party to be held at their house in the evening, Ruth unearthed the vacuum cleaner from the front hall closet. She had to move aside a heap of belongings to reach it -- umbrellas and boots and musty-smelling coats--as well as Peter's old film projector, heavy as lead in its mossy green case, and half a dozen cartons containing reels of footage from their early days at Derry. A brand-new teacher then, his enthusiasm like a light inside his face, Peter had recorded everything during those first years, endless hours of slow-moving football games, canoe races on windy spring afternoons with the boat shunting jerkily across the lake, the winter evening Robert Frost came to read his poems in the chapel. Mr. Frost had been aloof that evening at dinner, attending vaguely to the conversational gambits offered by the school trustees who had been assembled for the occasion. The meal had been splendid fare by the dining hall's usual standards, stuffed clams and lobster with melted butter, corn and boiled potatoes, blueberry pie. The occasion had been a triumph for Peter, who had arranged it, and an honor for Derry, which then had no real standing among boys' schools of the day, its pupils drawn historically from poor families rather than the well-heeled aristocracy of New England." 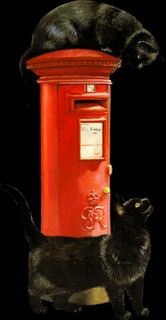 Mailbox Monday was started by Marcia, and this month will be hosted by Gina at Book Dragon’s Lair. 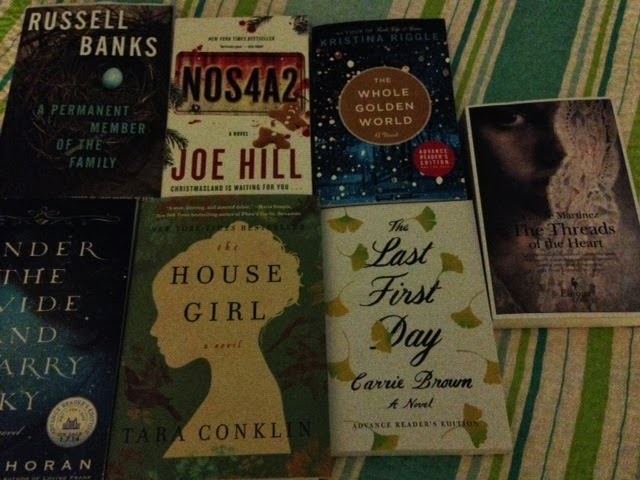 It’s the place to post all bookish finds! These arrived over the last two weeks. 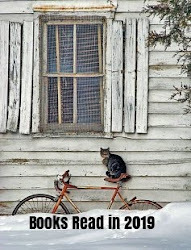 Off to check out your new books - Happy Reading! I wanted a quick and fun read and from the cover and title, I thought this book might be the one; I was right. This book is actually the second of a proposed trilogy. 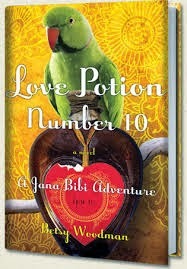 The first book was:Jana Bibi's Excellent Fortunes. I enjoyed this one, but really do want to go back and read the first book as well. This story takes place in Hamara Nagar, a fictional town somewhere in the Indian Himalayas where fifty-nine year old Janet Laird (Jana) makes a living as a fortune teller, reading the cards of mostly tourists who visit the area. She has help though, in the form of a loose-jawed parrot named Mr. Ganguly. In this installment Mr. Ganguly's popularity draws attention to himself by some birdnappers. Yes, Mr. Ganguly makes the story very fun, but I now want to learn more about Jana, Jolly Grant House and the other characters as well. Jana is a very sweet lady, (she is Scottish, but a citizen of India). This one was just so much fun, but there are some endearing moments as well. It was just such a refreshing change from a few sad stories I've read lately. Try it if you need a nice change of pace! I was curious about this book ever since I first heard about it as both sets of my grandparents came to the US from Poland. The Lullaby of Polish Girls tells the story of three friends who met when they were 12 years-old in Kielce, Poland and formed a special bond. Although they do lose contact as adults, a devastating tragedy brings them back together. Anna is the most worldly of the group having lived in several different places. She eventually becomes an actress in the US, but her life is anything but perfect. Kamila, is not comfortable in her own skin, she grew up in an abusive home and like Anna has problems with relationships. She is more interested in pleasing others than finding her own happiness. After her marriage fails she leaves Poland for the US. Finally, there is Justyna, somewhat of a wild child who never leaves Poland. The story begin in 2002 and goes back in time to the 1980s. The girls make a lot of bad choices in life, and as a result, I had hard time engaging with the characters. There is a fair amount of foul language which served no purpose and did not need to be there. At times I thought the story was a bit hard to follow as well because of different name variations from Polish to English. I did like reading about Poland and wish the sense of place could have been expanded on a bit more. Overall, this novel was just so so for me. 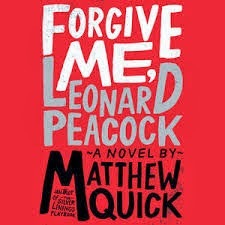 Matthew Quick and his Silver Lining Playbook was an instant hit with me, so I was anxious to try this book even though I don't read very much YA. What a roller-coaster ride; it's a terrific story. It's a story that is both poignant and heart-breaking. It follows a troubled,teenage boy by the name of Leonard Peacock. It's Leonard's 18th birthday and he is planning on killing another boy at his school named Asher Beal, who Leonard feels is just plain evil. Tired of the constant bullying, once Asher is dead, he then plans to kill himself. Before he acts he wants to give a few special people a gift so he won't be forgotten. There's Walt, Leonard's next door neighbor who has taught him an appreciation for Bogart, Baback, a violin prodigy classmate, Herr Silverman, a teacher who shares his knowledge of the Holocaust, and Lauren, a girl Leonard has a crush on. This book is so well done and full of ups and downs and just so emotional at times as well. My heart went out to Leonard. Absentee parents: his father was a rock-star wanna-be, and his mother, totally self-absorbed and obsessed with clothes and image. She moves to NYC and leaves Leonard alone in their suburban home, (she says for his own good),so that he can finish high school.